You are how you drive! – Thoughts & More..
You are how you drive! Many of us spend too much time driving or riding a vehicle. For me, I’ve started looking at the traffic as a mirror to the whole life, how? – When you face a problem, sometimes there is nothing to be done but: wait & hope. – Something/somebody might hurt you by accident, and vice versa. – Sometimes you are delayed only because the car beside you or the car prior to you or the car you are responsible to lead. – We wait enthusiastically for the “green” light, get frustrated & disappointed by the “red” light. – We try to stay as calm as we can despite of other disturbances; from outside: impolite drivers, terrible traffic, bumps, holes….etc. From inside: children talking, whining, jumping or fighting..
– Although men usually complain of women’s driving yet it’s a good sample for female super powers as our friend Ali Abdel Moniem called it, like: multi-tasking while driving: talking on phone, having a quick look in the mirror (on herself not on other cars), feeding her children, not to mention driving with high heels sometimes. – Some people tend to use the brakes ONLY at the last moment. What else can you think of & relate it to real life? DAH GAMED AWY YA HABHOUBA EL ARTICLE DAH YALLA EDEENA AKTAR.BAS WHY U R NOT WRITING IN ARABIC? 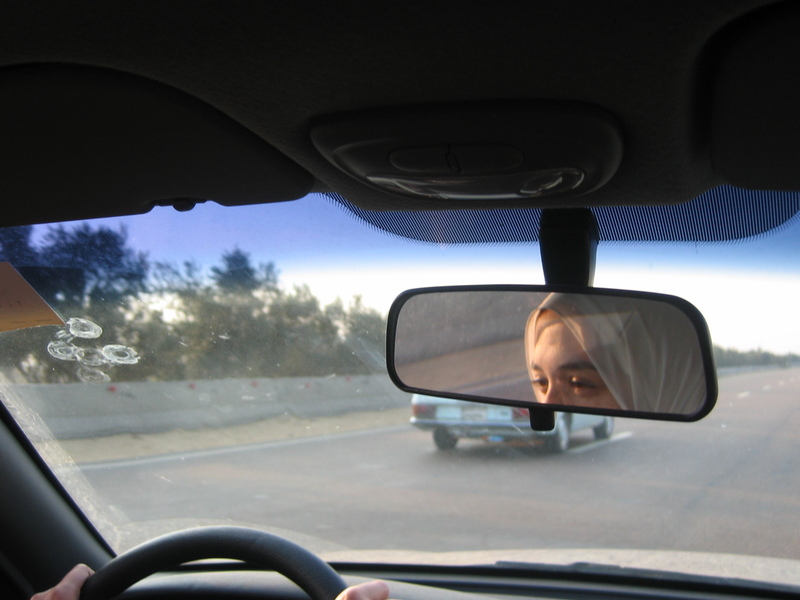 SUBHANALLAH, I always thought of (driving) and people’s morals on the road as a very good example to be applied to teaching people thoughts and behaviors in our daily life. The most important criteria of them all is Arrogance and/or Flexibility while driving, it gives a very decent image of people’s reactions in certain situations.